Scope: IRM developed a forest management plan for 3,000 acres of private forest land. The plan analyzed management trajectories to restore Swiss Needle Cast infected stands and to multi-species stands focusing on re-introduction of western red cedar. Scope: IRM was hired to provide a forest inventory and develop a management plan for a 80 acre tract of second growth Douglas fir. IRM designed the inventory, collected the data, and used the Assisi Forest Inventory program to compile and “grow” the stand data. A fully integrated stewardship plan was developed to guide the management of the tract for the next 30 years. The plan met the requirement of FSC® certification and allowed the tract to be included in IRM pool of FSC® Certified Lands. 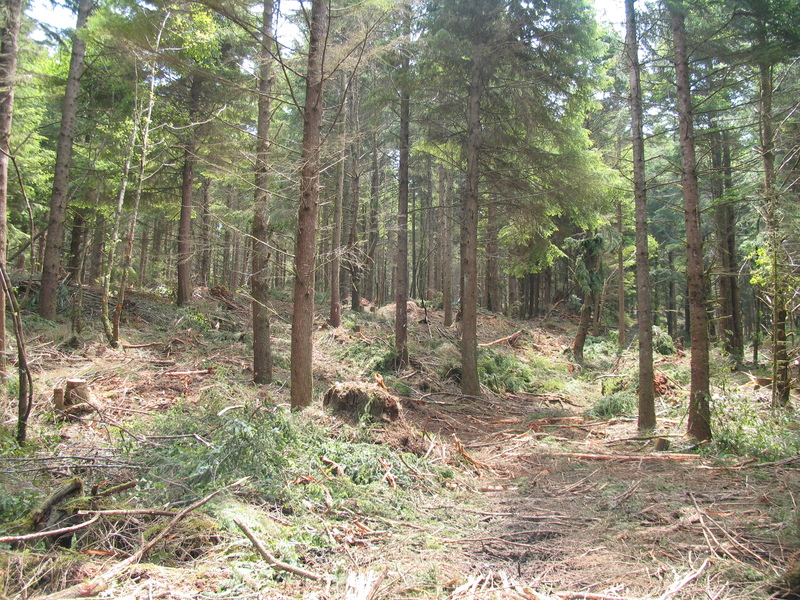 Scope: IRM prepared an integrated stewardship plan for a 120-acre woodlot in Western Oregon. The project involved biological and timber inventory collection, analysis, the formulation of a working management plan, and overseeing of management activities. Detailed prescriptions for all resources was integrated into a concise management plan with the goals of both promoting mature forest habitat while producing timber revenues through thinning. Management activities completed on the property include variable retention thinning, group selection harvests with retention, riparian cedar underplanting, snag and downed wood creation, and an adaptive plan to slowly convert portions of the property to multi-cohort and species condition. Cost sharing for the reforestation project was secure the State of Oregon’s Forest Resources Trust Program. Scope: IRM prepared an EA as a sub-contractor to David Evans and Associates, per Region 4 Professional Services Contract, for a prescribed burn on a 7000-acre watershed on the Escalante ranger district of the Dixie National Forest. As part of this project IRM conducted stand exams and noxious weed surveys of the project area. Our analysis synthesized historic and current vegetation data, historic range of variability analyses, fuel and fire severity models, threatened and endangered species recovery plans, and other keystone indicator species management mandates into a comprehensive forest restoration plan. Recommendations included specific burn prescriptions designed to restore key ecosystem processes and functions at both stand and landscape levels. Scope: IRM conducted a second-entry forest thinning for longtime client Double E Northwest, on their King Slough Tract located south of Newport. Forest type is primarily 35year old plantation mix of Sitka Spruce, Douglas-fir, and Western Hemlock. The tract was last thinned in 2003 by IRM, also using a cut to length harvest system. At that time, stem densities were reduced from an overstocked condition of, 600-800 trees per acre (TPA) to 250 TPA. IRM designed and conducted a stand level inventory for the King Slough Tract. High relative densities shown by inventory data; highlighted the need to reduce the number of TPA yet again.IRM Forest Managers designed a thinning prescription to reduce stems from 250 TPA to 185 TPA. Reducing the stem density will keeps stand vigor high by maintaining large healthy crowns. Thinning will prioritize and target the removal of Douglas fir. King Slough Doug fir is infected by Swiss Needle Cast and shows highly reduced growth rates, and nearly dead tops. Cut to length machinery is processing and will extract short logs for local markets. After completion, the remaining stand will be composed of primarily hemlock and spruce and have increased stem spatial heterogeneity. Open gap areas in the tract will begin to recruit shade tolerant seedlings continuing the stand conversion to a robust spruce – hemlock cover. Scope: IRM was asked to design a workplan to remove trees in-line with the Newport Airports runways and serve as the City’s technical advisor. The project area was sensitive in nature as it was punctuated by springs and seasonal streams along with the obstructing trees being previously unharvested and very large. Lidar was used to determine which trees obstructed airport runway signal lights and locate the problematic trees. 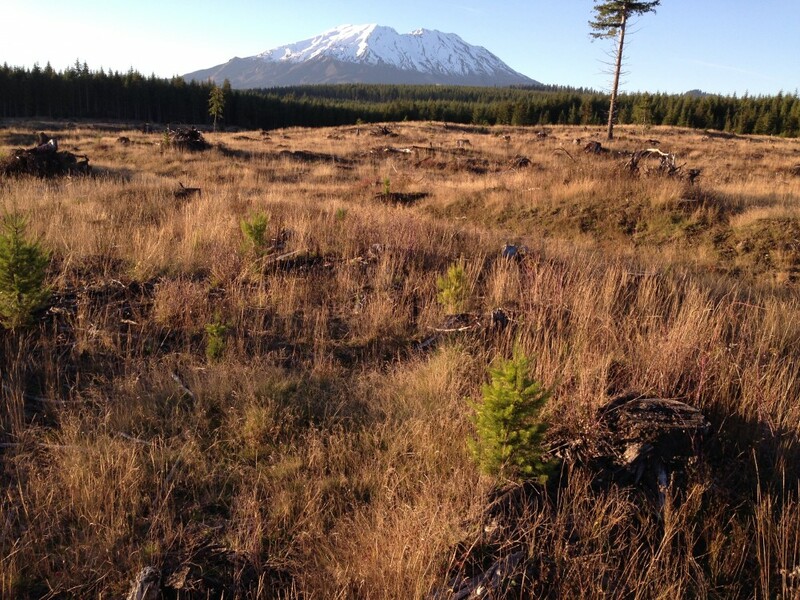 Scope: IRM developed a restoration plan and implemented restoration treatments on 600 acres on the Metolius Preserve. The Metolius Preserve Young Stand Thinning featured both state of the science silviculture and state of the art equipment. The prescription uses “mosaic” thinning in 50 year old “blackbark” pine stands to restore reference era structure. A harvester/forwarder was used to cut, delimb, and buck trees in the woods, thus minimizing large landings and allowing equipment to travel over a bed of limbs.A forwarding machine fully suspended logs by storing them in a bunk and used existing skid trails. The use of a process called “ghosting” significantly decreased the total area in forwarding trails. The mechanization of logging allowed high levels of utilization of each tree (down to a 1″ top). Upon completion of thinning, a rubber tracked skid steer (LightfootTM) with Fecon Bullhog masticating head, was used as a single treatment to mulch thinning residues and mow understory shrubs and encroaching undesirable grand fir regeneration. Mowing of bitterbrush and other native shrubs has been shown to invigorate and cause resprouting, which improves browse for deer. 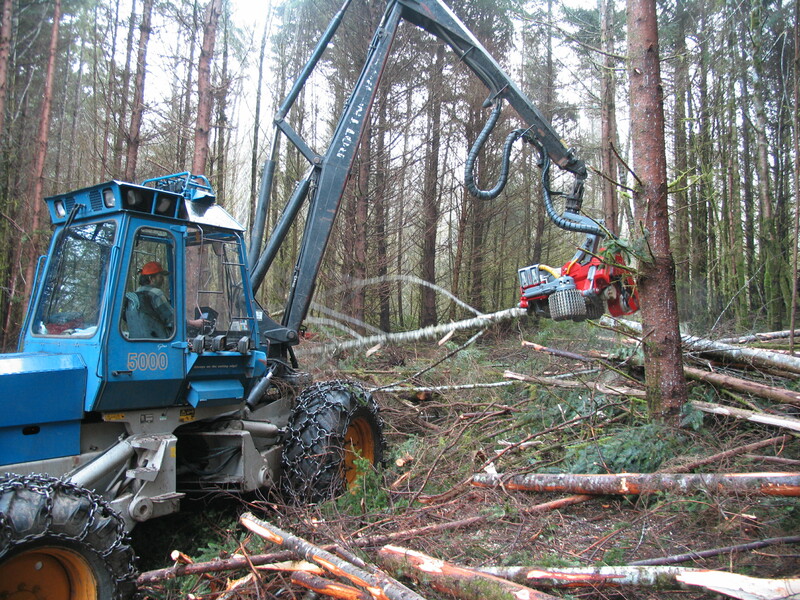 Scope: IRM completed a 8 acre timber harvest on private forestlands using a Harvester. Approximately 49.26 MBF was harvested. Scope: IRM was retained by the Columbia Landtrust to develop a planting prescription and implement the work plan to restock 480 acres of young units that were understocked due to planting failure. Units were evaluated to determine stocking levels and assigned a reforestation technique – either a full restart or inter-planting, to achieve the desired future condition of a native late serial forest type. IRM was able to secure National Resource Conservation Service (NRCS) funds to help offset costs under the Environmental Quality Incentives Program (EQIP). Scope: IRM completed a third party logging layout evaluation report for the Olympic National Forest to determine problem causes of a failed and contentious timber sale. A mapping geodatabase was developed and used to facilitate the mapping of planned and used skid trails, streams, culverts, landings, along with obstructions within harvest units. Failed harvest units were compared and contrasted to other units in USFS ownership to provide a platform for evaluation. 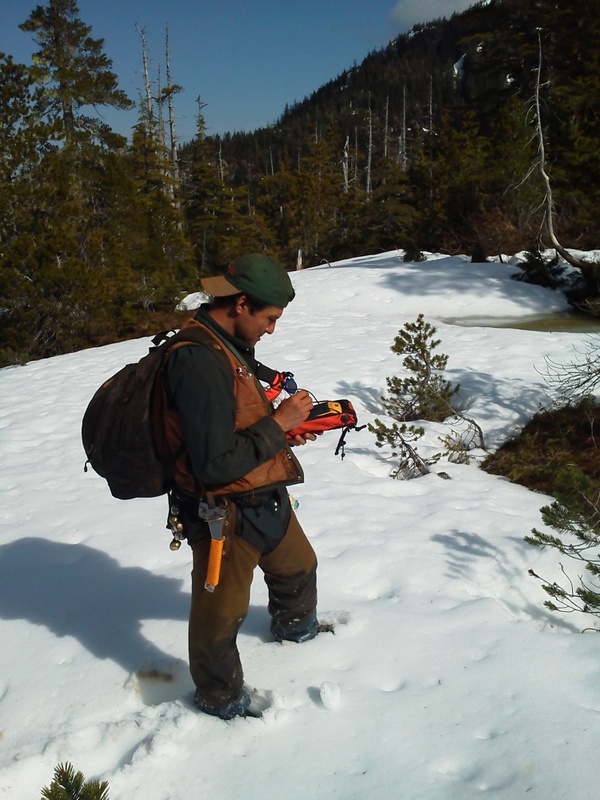 Scope: IRM was hired by the Thorne Bay RD of the Tongass National Forest to layout out the Big Thorne Timber Sale Layout. As part of this contract IRM flagged and tagged unit boundaries, laid out temporary roads, traversed unit boundaries and proposed roads on 26 harvest units. IRM used GNS capable receivers to traverse the harvest units. The project involved the following logistical challenges: 12 miles of ATV travel daily; harvest units up to 2 miles from the end of the roads; and steep terrain with large timber. Scope: In the winter of 2012, IRM was hired by the Broughton Lumber Company to layout a final harvest logging Unit near Bingen Washington. The work included the following: Boundary tagging, ELZ and Riparian Reserve Tagging, Road layout, and GPS mapping. IRM successfully completed the work on schedule with high quality. Scope: In the summer of 2006, IRM was hired by the WADNR to layout and cruise three Timber sales in the SE region. This work included the layout of over thirty-five logging units. The work included boundary tagging, ELZ and Riparian Reserve Tagging, road layout, GPS mapping and timber cruising. IRM successfully completed the project on schedule and provided accurate high quality work. Project/Client: Salmon Curves Timber Sale Harvest Unit Design & Layout, Subcontractor to DEA, Inc. Scope: IRM assisted the Mt. Hood National Forest by providing computer visual simulation for a proposed 22 MMBF timber sale, which is visible from the historic Timberline Lodge on Mt. Hood. The simulation provided direction on how to mitigate the visual offensiveness of previously harvested units in the Salmon River drainage through the use of selective silvicultural and harvest systems. IRM’s field foresters flagged and tagged unit boundaries, marked timber, and collected GPS data for the mapping of the timber sale. Scope: IRM provided logging feasibility and analysis expertise on a 42 MMBF timber sale. All methods of logging systems were analyzed and units, landings, and roads were located in the field. A report was provided outlining the appropriate system for each setting and was a supporting document for the EA. GPS coordinates were provided for landing locations and proposed roads. Mapping of each harvest unit was done using ARCVIEW GIS. Scope: IRM has conducted multiple third party timber cruises for the WA Dept. of Natural Resource (DNR) Forest Riparian Easement Program. Cruisers are required to provide a statistically valid timber cruise and determine the best methodology to achieve the needed results. The DNR uses the information to compensate landowners for timber easements based on local log markets. Cruises are based on the SuperAce methodology and may be 100% samples, strip cruises, ITS, or variable plot cruises. Scope: IRM was asked to evaluate a litigated parcel of forestland determine if timber theft or regulations under the Oregon Forest Practices Act had been broken. Foresters visited the site, preformed a “stump cruise”, and gathered orthoimagery to analyze when the harvest had taken place and what the market value of the timber at the time of cutting would have been. Scope: The Campbell Global corporate office contacted IRM to conduct a timber cruise in conjunction with an appraisal on the 100,000 acre Rosboro Timberland, the company was planning on purchasing. IRM managed the project and fielded 21 timber cruisers to install plots, completing a validation of inventory data on 10% of lands to be purchased. IRM cruiser recording tree boundary locations for the Snakey Lakes project. 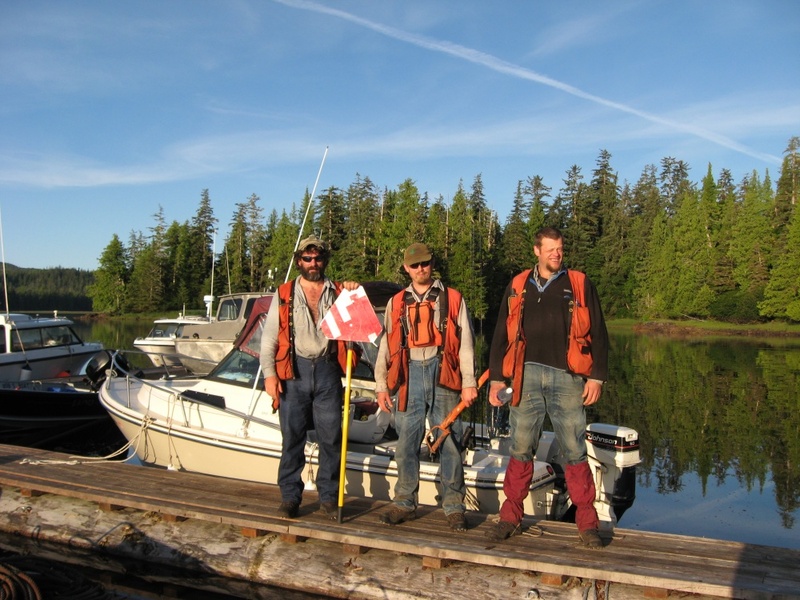 Scope: IRM was awarded pre-sale and timber cruise contract during the summers of 2011-2013 for the Tongass National Forest. IRM’s staff Foresters, one of which is a Region 10 timber certified cruiser, installed and measured over 75 cruise plots. This data will be used by USFS staff to appraise the value of the timber. Scope: IRM was contracted by the WADNR to provide a third party assessment (timber cruise) of the qualifying timber volume on 5 separate properties (covering over 62 acres) as part of the State’s Forestry Riparian Easement Program (FREP). A timber cruise using SuperAce was conducted on the properties. Scope: IRM conducted stand typing and designed and implemented a timber cruise as part of a stumpage appraisal for a land exchange between the USFS and the City of Portland in the Bull Run Watershed. The exchanged involved the cruising of almost 5000 acres of old growth forest. The cruise used the following sampling design: variable plot sampling, variable log length cruising, export sorts and domestic grades. Please contact us for additional project examples.